The knives are out for gold, with top analysts from the world’s leading investment companies going short on the precious metal for the remainder of 2015. Among others, Goldman Sachs fund managers are of the opinion that gold could fall well below the key $1,000 support level, while others are slightly more optimistic, citing a level of $1050 by the end of 2015. In July alone, exchange traded products benchmarked to gold reported sharp losses of $5.7 billion. There are several reasons why gold demand is declining, including weaker than expected Chinese economic performance, the looming US interest-rate hike, and a stronger US dollar. Practically, there are issues with holding large quantities of gold. The precious metal has very few real-world applications outside of jewellery and its store of value function. Unlike usable commodities like natural gas, light sweet crude oil, coal and wheat – end uses for gold are limited. Such has been the impact of plunging prices that Gold Fields Ltd – Africa’s wealthiest gold deposits – continues to haemorrhage revenues. Owing to the low price of gold, Johannesburg’s South Deep mine – an 81 million-ounce mining complex – has suffered plunging profitability, and a rapid decline of the South African gold mine. South Africa was the world’s ranking gold producing country in 2007, but today it ranks sixth in terms of gold production. Despite the overwhelming disdain for gold midway through 2015, it remains a viable investment during times of geopolitical crisis and economic uncertainty. Gold tends to soar when equities markets come under pressure, and while the US stock market is presently bullish, equities markets are unpredictable. 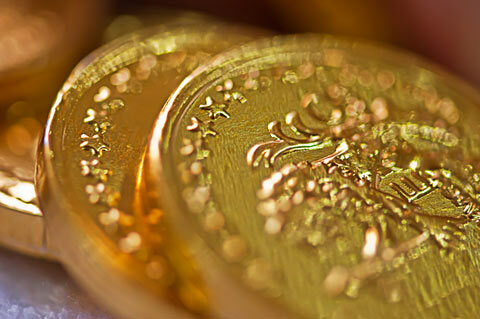 Gold came under pressure recently when the Chinese equities markets plunged 8.5%. With decreased demand and perceived weakness from the China – the world’s biggest commodities consumer – coupled with historically low oil prices, commodities across the board have been taking strain. Risks remain in the market, and it behooves fund managers to bolster their clients’ portfolios with gold asset allocations. The price of gold has been trending lower since it approached $1900 an ounce by late 2011. Since then the price has moved sharply lower and is currently trading around $1092 an ounce. Nobody is ready to call the bottom on gold just yet, with the next support level being the key $1,000 mark. Should the US Federal Reserve Bank show hawkish signs in terms of interest-rate movements, the gold price will drop. The complex relationship that exists between US interest rates and the gold price will see US dollar demand increasing, thereby making it more expensive for foreign countries to purchase gold which is priced in dollars. Some have called the sharp losses suffered by gold the flash crash of the precious metal. Barring a recovery, the gold price has chalked up 5 weeks of losses on the trot. The mass exodus from gold ETFs is also presenting a strong buying opportunity for traders. Buy sentiment is muted since there is a degree of uncertainty about just how far prices will continue to fall. For the short to medium-term, it is clear that gold will be pushed further down the shopping list of attractive commodities.